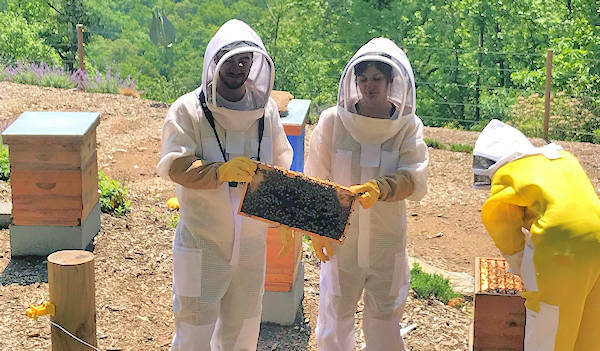 For a really sweet and unique hands-on tour, visit Killer Bees Honey Farm high in the mountains adjacent to Pisgah National Forest. 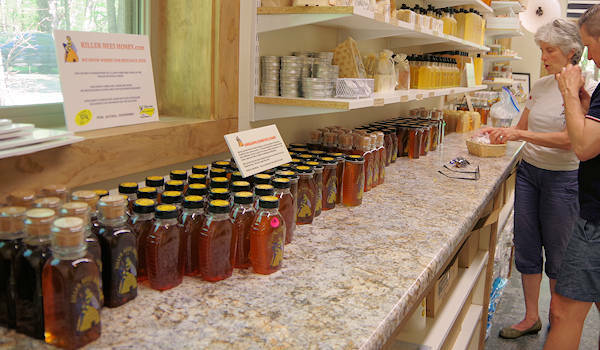 Located near Lake Toxaway and Brevard, they just opened their apiary bee sanctuary for summer tours. 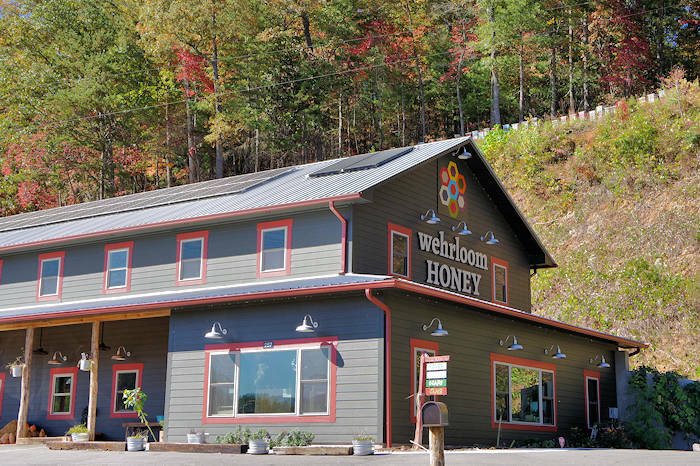 See how they create the purest artisanal honey you'll find. Then put on a bee suit for a hands-on look. Due to their remote location, their bees gather nectar from the forests untouched by chemicals. Certified Beekeeper & Honey Sommelier Sean and wife Denise open their home and welcome you like longtime friends. Due to their remote ridgetop location, you'll need to sign up for a group tour (their steep one-mile driveway is one way, so you arrive via a van). Their artisanal, sustainable honey is nothing like the heat-treated, ultra-filtered honey in most grocery stores. Learn all about the very fascinating and hard working bees. More than 2 million bees call their farm home. 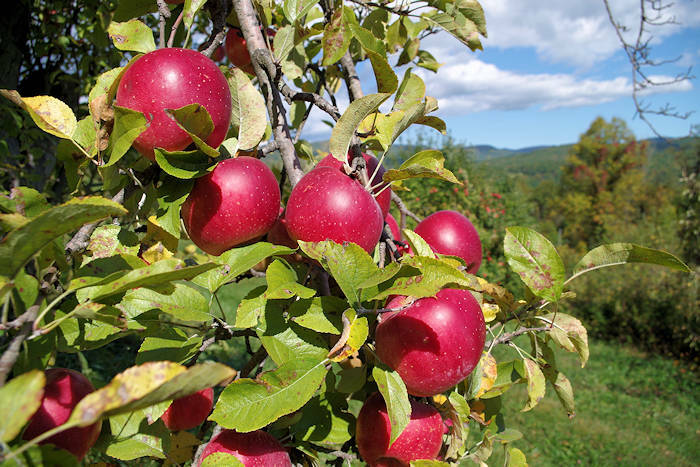 Since they are surrounded by thousands of farm-free acres in Pisgah National Forest, their bees collect nectar untouched by neonics or other toxins found in most yards and farms. In fact, their sourwood honey tested about 90% pure - almost impossible to find elsewhere. 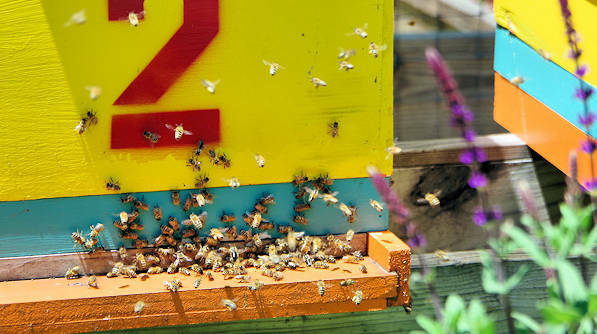 Their wildflower honey has 202 miscellaneous pollen markers, so it's perfect for your pollen allergies. 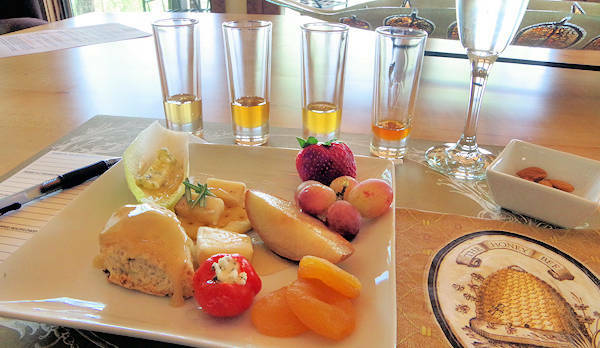 During your tasting, your tastebuds will be thrilled with all the fresh flavors. Pairings compliment each honey. Their honey is never blended, flavored, heated, or pasteurized. 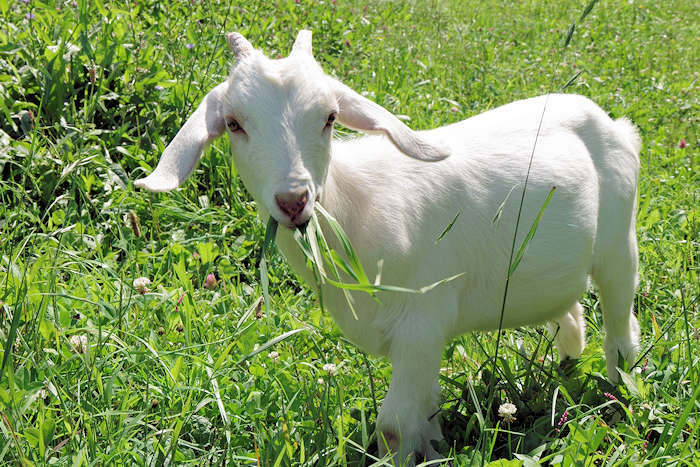 They harvest and bottle it on their farm. Go to Killer Bees Web site to see and buy their products. Be a beekeeper for a day! Sean will take great care of you. No experience needed - and it's very safe. Learning about the lives of honeybees, their caste system, division of labor and hive equipment. Putting on a bee suit, veil and gloves to journey into the world of a bee colony with the beekeeper. Pouring your own 4 oz bottle of honey. Enjoying a honey tasting of nectar fresh from their hives. Pairing your honey with cheese, meats, fruit, and crackers. $90/person. Go to Killer Bees Web site for details and online booking. Limited spots, so book ASAP. Due to their mountaintop location, you will meet at the bottom of the mountain and ride a shuttle to the top. Your last stop on the tour is their farm store. Take home some souvenirs. Go to Killer Bees Web site to see and buy their products.